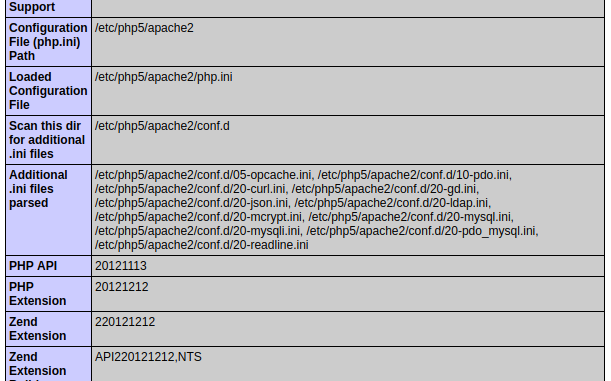 HomeLinuxWhat Version of PHP is Apache Serving? Sometimes when you’re configuring PHP, you need to confirm what Apache is actually serving – not what you think its serving. The below trick will confirm PHP is working and what version is being served. Assuming you’ve already configured a virtual host so serve PHP, create a file within the document root. And see something similar to the below. 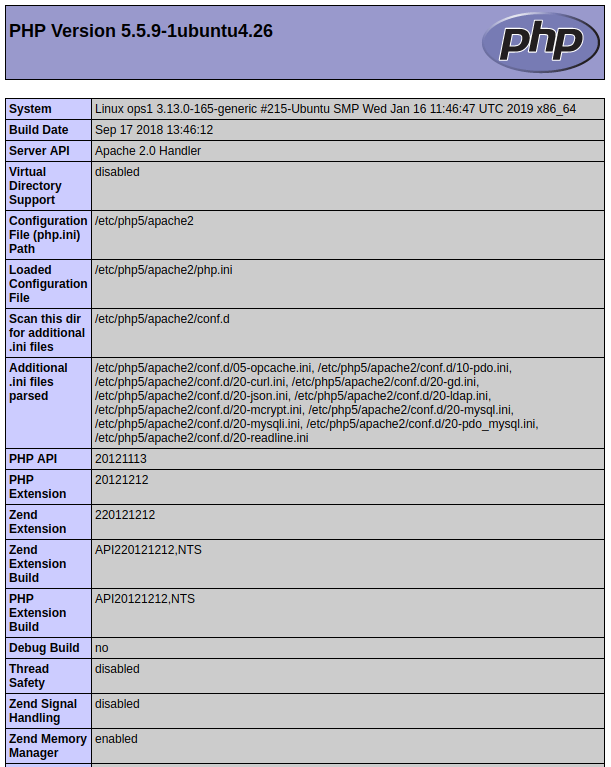 If this page is not being displayed correctly, Apache is not serving PHP correctly. If it is, you should be able to see all the relevant information relating to the PHP version being served. For example, the version, the loaded configuration file, what modules are currently loaded, etc.